A new longitudinal study of 391 youth at risk for bipolar disorder revealed some predictors of the disorder. The study by Danella M. Hafeman and colleagues was presented at the 2015 meeting of the Society of Biological Psychiatry. 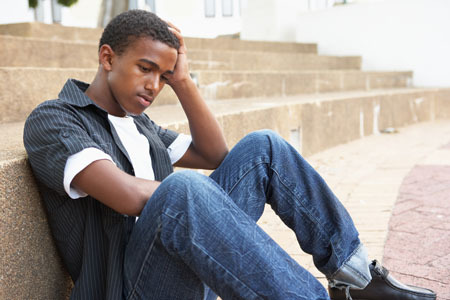 The participants were aged 6–18 and each had a parent with bipolar disorder. Over the course of the study, 40 developed an illness on the bipolar spectrum, including 21 who developed bipolar I or II. 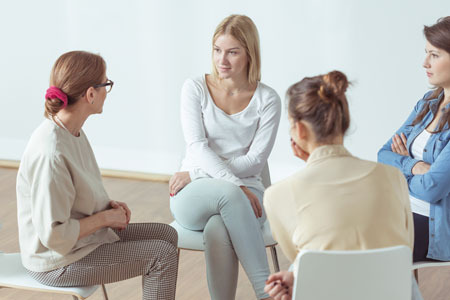 The participants were assessed for various descriptive characteristics and those who developed bipolar disorder were compared to those who developed major depressive disorder. The most important predictors of bipolar disorder were parental assessment of internalizing symptoms of anxiety or depression, self-assessment of mood changeability, and self-assessment of hostility. A diagnosis of bipolar disorder not otherwise specified (BP-NOS) was the only predictor of a later diagnosis of bipolar I or II. Editors Note: These data resemble findings from a 2015 study by David Axelson and colleagues in the American Journal of Psychiatry that used the same cohort of participants. The Axelson study indicated that a categorical diagnosis of a major psychiatric disorder occurred in 74% of the offspring of a bipolar parent compared to about 50% in a control group from the community. Depression, anxiety, attention deficit hyperactivity disorder (ADHD), and oppositional disorders were even more common than bipolar disorder in the at-risk population. The presence of a major psychiatric diagnosis in about three-quarters of the offspring of a parent with bipolar disorder suggests the importance of early vigilance. One way to track symptoms of depression, anxiety, ADHD, oppositional behavior, and bipolar disorder is to join the Child Network, a secure online platform for rating children’s moods, medications, and side effects. These weekly ratings can be collected longitudinally and printed out to help parents and clinicians assess mood difficulties in their children. Statins are a class of drugs that are the most commonly prescribed treatment for high cholesterol. They can reduce risk of heart attack and stroke in people with a history of cardiovascular disease. New research is beginning to clarify statins’ other effects, which on the negative side can include increased risk of diabetes and liver and muscle inflammation, and on the positive side can include reduced risk of cataracts and prevention of depression and dementia. In late 2012, the American Heart Association Scientific Sessions included a discussion of five new studies suggesting that the cardiovascular benefit of taking statins is worth the slightly increased risk of diabetes. Researchers at the conference explained that cardiovascular events are much more serious than the small increase in risk of diabetes. While all five studies showed an increase in diabetes risk, the absolute increase was low and depended on the patients’ level of risk prior to treatment and how high their doses of statins were. There are strategies that can reduce diabetes risk in statins users, including using bile-acid sequestrants, reducing niacin, and monitoring glucose. Consensus at the conference was that statins’ cardiovascular benefits are so important that the drugs shouldn’t be avoided because of concerns about diabetes. In addition, statins’ beneficial effects on mood have been reported for several years. In 2010, an epidemiological study by Pasco et al. in Psychotherapy and Psychosomatics showed that subjects without depression were less likely to develop a new onset of depression if they were treated with statins compared to those who were not. Stafford et al. reported in the Journal of Clinical Psychiatry in 2010 that patients taking statins had a 79% decreased likelihood of depression at 9 months of follow-up. Moreover, a 2012 meta-analysis by O’Neil et al. in BMC Medicine reported that overall, statins had positive effects on mood. 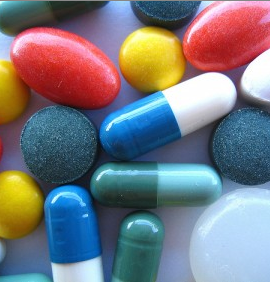 A recent huge Taiwanese study of statins suggests that the drugs can also prevent dementia. At the European Society of Cardiology congress in 2013, Tin-Tse Lin reported that among 58,000 people studied, those taking the highest dosage of statins had a threefold decrease in risk of developing pre-senile and senile dementia. He explained that it was the potency of statins such as atorvastatin and rosuvastatin that provided the cognitive benefit. 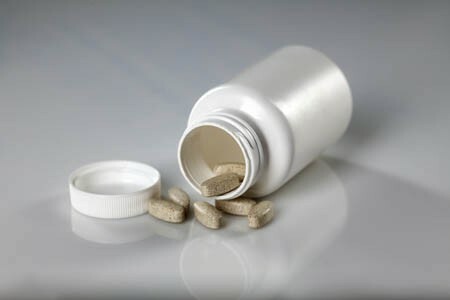 However it is high doses that lead to less benign side effects such as liver and muscle inflammation. A separate US study presented at the congress showed that statin use also lowered risk of developing cataracts by 19%. Research has shown that serotonin-selective reuptake inhibitor (SSRI) antidepressants can be useful for severe premenstrual syndrome (PMS) and premenstrual dysphoric disorder (PMDD). According to a 2006 article by Steiner et al. in the Journal of Women’s Health, there are various ways that SSRIs can be used to treat PMS symptoms such as irritability, depressed mood, dysphoria, bloating, breast tenderness, appetite changes, and psychosocial function, including intermittent dosing just in the two weeks prior to PMS. Usually doses for PMS are lower than those used to treat depression. For those with mood symptoms that continue throughout the month, continuous (daily) dosing may improve PMS symptoms. For those whose mood symptoms worsen during PMS, continuous dosing can be intermittently increased from around the time of ovulation to a few days after the period begins. For those women with mood symptoms only during PMS, intermittent dosing only during those weeks between ovulation and the period seems to be helpful and minimizes side effects of the SSRIs. Editor’s Note: While SSRIs sometimes take weeks to reach maximum benefit for those with depression, intermittent dosing for women with severe PMS seems to be helpful. This may be because SSRIs acutely increase the neurosteroid allopregnanolone, which enhances GABA-A receptor activity, associated with improvement in mood and anxiety.